Eichardt’s is synonymous with exclusivity. 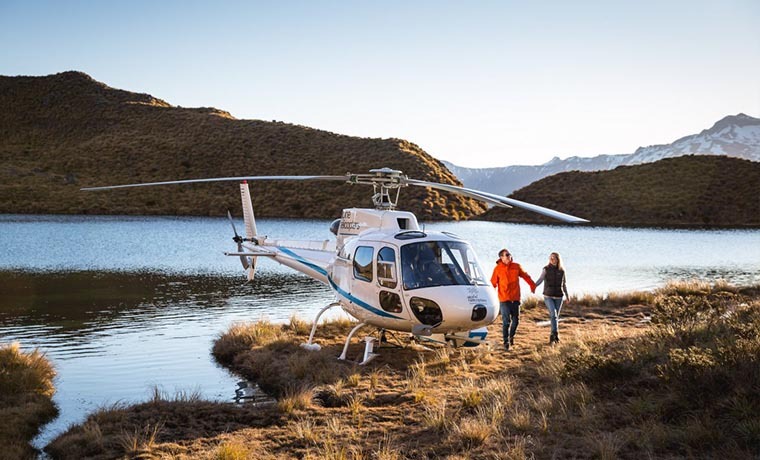 Experience the breathtaking wilderness of the Southern Alps by private helicopter charter: fishing for crayfish off the West Coast, dining in the remote reaches of a picturesque glacial valley, or hunting for Red Stag with a team of handpicked local guides. Land based experiences with seasoned mountain guides, offer access to unique terrain for unforgettable hikes, world class mountain biking, and 4WD farm experiences. During winter, experience untouched powder on private ski fields, snowshoe across some of New Zealand’s most pristine natural landscapes or Dog Sled along towering mountain passes. Speak to our team of highly knowledgeable concierge to plan the perfect itinerary for your trip to Queenstown with some of our exceptional ‘Preferred Providers’. Simply send us an email at concierge@eichardts.com.